Bahamas law firm Callenders & Co senior associate and aviation expert Llewellyn Boyer-Cartwright is to attend AeroPodium summit in Aruba this week. Callenders & Co senior associate Llewellyn Boyer-Cartwright has been selected to attend the 2nd annual AeroPodium summit in Aruba September 20-21. The event attracts the top authorities, experts and officials in the offshore registration of aircraft and air safety. 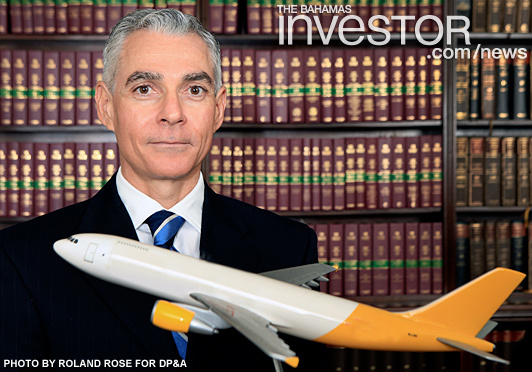 Boyer-Cartwright, a commercial pilot before taking up law nearly two decades ago and earning a Master’s degree in Aviation Science, is spearheading the campaign to establish a Bahamas International Aircraft Registry. The effort is being fully supported by the Bahamas Financial Services Board (BFSB). Boyer-Cartwright and the BFSB have had three Cabinet level meetings in recent months. AccountingDegreeOnline.net provides resources for students interested in pursuing a degree or certificate in accounting. 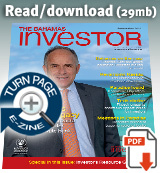 View the resource here. Pictet Bank and Trust Bahamas has agreed to once again sponsor the Speed Week Ball and Auction of Promises to be held December 1. Last year the event raised more than $40,000 for local charities. Pictured (below): Pictet managing director Yves Lourdin (right) is pictured with the Governor General Sir Arthur Folkes at the Speed Week 2011 gala event.